Where you can provide chat service, forum service and other useful pages. 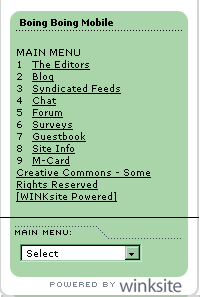 You can see the boingboing WAP site in the image. Get more details here. Once you develop your winksite try OperaMini simulator to see how it looks on opera mini.